The archery hunting season is over, now what? Well, the dreaded time of year has finally came. Our archery deer season has ended and that leaves us with about 8 months until the 2019 season begins. What do we do now to prepare for next season? When does fanatic practice and preparation cross the line to insanity and over-kill? It’s a line we juggle every year as we try to manage regular work schedules, family time, and the need to feed our obsession. Okay, so let me be honest, every year there is a minor sense of relief when the deer season ends. I am able to remove myself from the daily checking of weather apps, the constant stressing of what stand I should sit, and the relentless feeling of doubt that continuously plays over and over in my head that makes me feel that a small detail has been missed. With that said, I start to evaluate my season, learn from my mistakes, and start a mental checklist of what I could do differently in preparation. First, I believe in being physically fit. I workout 4 to 5 times a week. I have a good mix of weight training to make me strong and I do cardio to help strengthen my heart. I am not sure what this does for me in the deer woods as the majority of my hunting is done from a treestand, but it sure makes me feel better and more prepared. I believe that mental preparation and fitness is just as important as actually being prepared. Second, I shoot my bow obsessively throughout the spring and summer. Being a midwestern, born and raised in Nebraska, the late winter months do not always provide ideal outside shooting opportunities. Generally, I aim to shoot a minimum of 1000 arrows throughout the spring and summer months. I practice from 20-60 yards with MOA (minute of angle) accuracy as my goal, i.e. 2” group at 20y, 3” group at 30y, etc. Admittedly, I have never attempted to kill a deer at a distance of 60 yards. But what I have found is that the more I practice at 60 yards the better I am at 20 yards, which is where almost all my deer have been killed. I know a lot of you shoot way more than I do. Family obligations, work schedule, vacations, etc take up a lot of my time. When I shoot I just don’t go out and fling arrows. I truly believe in perfect practice and execution on all my shots. I like to have the feeling of being “automatic” when it matters. My preparation with shooting makes me more confident when “the time counts” and takes away one of the things that I have to worry about. You see, in an environment that is not ours, i.e. the deer woods, any room for error that I can control or lessen, I try to do just that. I make sure that my arrow flies true and hits its mark when I need it the most. Additionally, we try to use our time and intel wisely. We use the time that we spent in the deer woods, successful or not, as learning opportunities. We learn deer patterns/movements, seek new parts of our properties and adjust accordingly. Sometimes we do these adjustments mid season in the heat of the moment. Other times we wait it out as to not disturb our properties and adjust and try new things based on what we observed. Summer months are a good time for us to start hanging trail cams and getting an inventory of the deer that we have on our properties. We feel that early late May/early June is perfect for us to start gathering this info. We have found this intel to be great during the early season as a lot of times their patterns haven’t changed and are more susceptible to receiving the sharp end of our arrows. 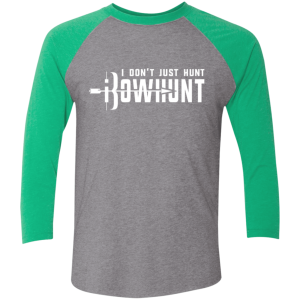 I don’t just hunt, iBowhunt! 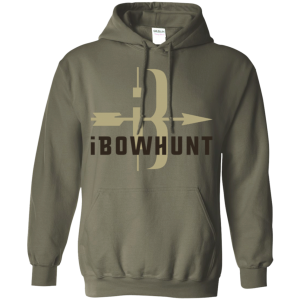 Popular iBowhunt Products – Always Free Shipping!